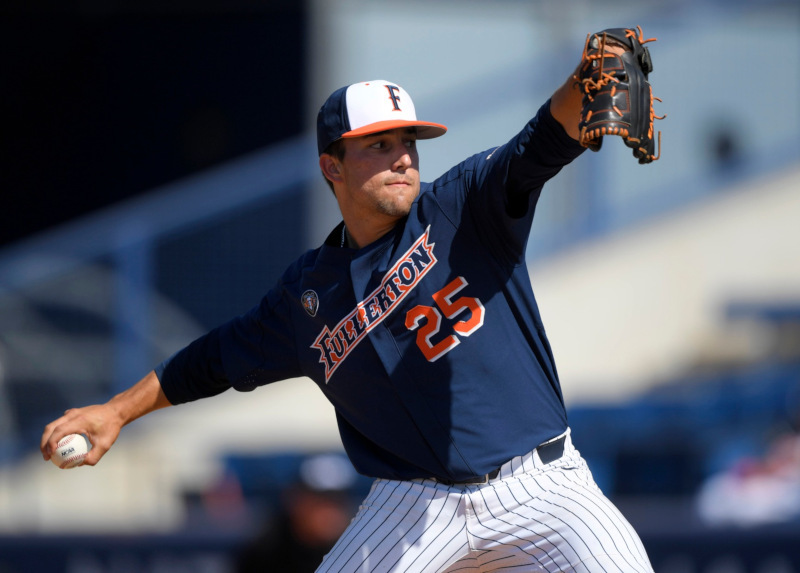 Cal State Fullerton was on Spring Break last week with no mid-week game but plenty to discuss after a conference series weekend up at Cal Poly. Mitchell Berryhill is turning his senior season into a showcase proving to Major League Baseball teams why it was a mistake to pass on him in last year’s draft. Senior Mitchell Berryhill was named the Big West Position Player of the Week after his incredible performance up at Cal Poly San Luis Obispo. In 17 plate appearances, Berryhill reached base safely 15 times. It wasn’t just walks and fielding errors that got Berryhill on base. Berryhill’s bat was red hot hitting .833 for the weekend (10-for-12). Once on base, Mitch Berryhill did some damage as well swiping two bases and crossed home plate six times over the three days. For the season, Berryhill is batting .439 and that leads the Big West Conference. He has also reached base in every game this season and is on a 37-game on-base streak dating back to last season. The last time Berryhill wasn’t officially on base was vs. USC on May 22, 2018 where he did reach base on a fielder’s choice and eventually scored in the game. 37 Runs & it wasn’t a sweep? A college baseball team plates 37 runs on a weekend and you would expect it to be a sweep. Not this season. 16 runs on Friday and 16 runs on Sunday secured the wins but a lackluster performance on Saturday hung a loss and the Titans dropped a much needed conference game. The Titans made Saturday’s game tight at the end but the comeback came too late and they just ran out of outs. Apparently Jake Pavletich‘s broken finger was not a severe as Daniel Cope‘s. Pav was back in the line-up and not just as a Designated Hitter but playing first base on Sunday. Pav had a strong outting going 3-for-5 with 3 RBI, a double and a home run. He did not show any signs of the injury affecting him while fielding or throwing but the extent of the injury and how much pain he is playing with is unknown. BOGO stands for Buy One, Get One in the retail world. Brett Borgogno got two home runs on Sunday launching the first and second of his college career. On Twitter, Borgogno credited the winds for carrying the ball over the wall. The official weather for the Sunday Cal Poly game was high clouds, 75 degrees with NW winds at 15-25 MPH. Not sure if this is a precursor to a power surge for Borgogno, but with winds projected above 25 MPH for tonight’s game vs. USC, we can hope the winds are blowing out and he gets a hold of another one or two. Titans currently sit at 14-14 and 3-3 in conference with 25 games left. Simple math means the Titans can only lose nine more games in order to reach a minimum of 30 wins. The closest the Titans have ever come to not making it to 30 wins in a season came under Larry Cochell in 1989 when the Titans recorded a 30–27 record. Since Rick Vanderhook took over the program in 2012, the Titans have consistently won between 34 – 39 games. 2013 marks the only Vanderhook era Titan team to win over 50 games in a seasson going 51-10 that year. 2014 – Titan record was 25-22 before winning the final seven games of the season to gain an at-large bid into the regionals. Titans were a No. 3 seed in the Stillwater regional and did not advance after getting eliminated by the host Oklahoma State Cowboys. 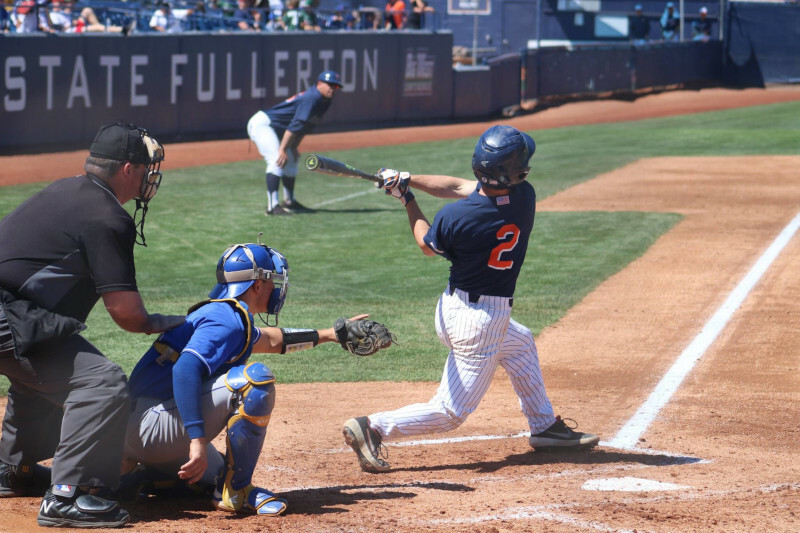 2015 – Titan record was 20-19 before going 14-3 the remainder of the season, winning the Big West Conference and ended up hosting a regional. Titans would advance out of the Fullerton Regional and beat Louisville in the Super Regionals to advance to Omaha. Titans eventually went two & a BBQ losing to Vanderbilt in a weather affected game and a loss to LSU. 2016 – Titan record was 12-11 heading into Big West Conference games and proceeded to go 23-10 to win the conference. Titans were awarded a No. 2 seed at the Starkville Regional and were eventually eliminated by Louisiana Tech after winning one game. 2017 – Titans started the season well, going 15-5 but lost five in a row after a hot start. Titans finished 19-11 the rest of the season. Titans finished second in the conference and was awarded a No. 2 seed in the Palo Alto Regional. Titans would win that Regional and won the Long Beach Super Regional to advance to Omaha for the 18th time in school history. 2018 – Titans started the season a dreadful 10-15 before going 22-8 the rest of the season to clinch the conference before the final series. Titans earned a No. 3 seed into the Palo Alto Regional, a regional they would win. 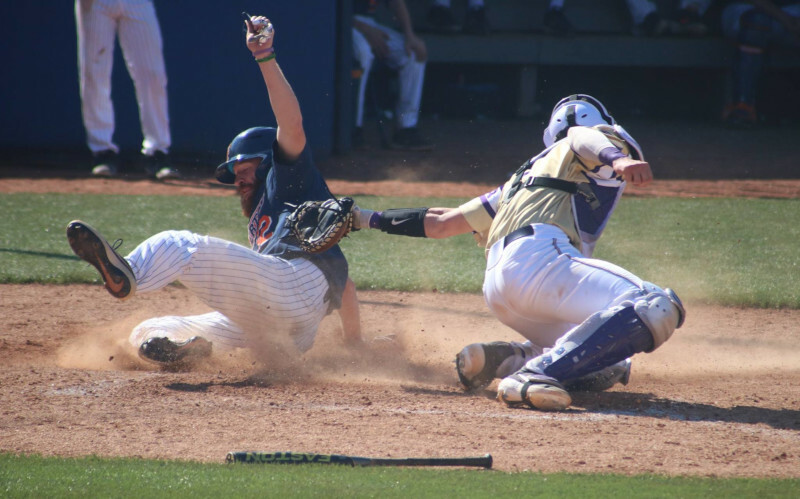 The Titans hosted Washington in a Super Regional and lost in three games. Recent history has shown that a slow start does not mean missing the postseason but the Vanderhook era teams have given Titan fans much drama down the stretch. It’s not impossible, but the margin of error is quite small. Pitching and defense has been the calling card of Titan Baseball for years. Unfortunately, the pitching this year has left quite a bit to be desired. Sounds like we are beating a dead horse here but how long is the coaching staff going to trot out the same guys on the weekend expecting different results? Both Kyle Luckham and Michael Knorr have been given ample opportunities to secure the Saturday and Sunday night starting positions yet with lackluster stats and results. We understand they are freshmen and are going to go through growing pains but how long of a leash do you give when they are not getting it done? Are the other guys who we have rarely seen that bad? Is the devil you know better than the devil you don’t? Remove the stats from a pretty bad Long Beach State team and Luckham has been underwhelming to say the least. Knorr has been slightly better but only marginally. A 2-2 record in eight starts and 38 innings pitched, Knorr’s ERA is near six (5.92) with and only 22 strikeouts. In two of those outings, Knorr has made it out of the sixth inning, James Madison and Long Beach. Can you guess which games are the ones credited with Knorr’s two victories? Both Luckham and Knorr are averaging less than five innings per start. Include Timmy Josten as a weekend starter along with Knorr and Luckham and opponents are batting above .280. The official athletics website preview prior to the USC game tonight, Gavin Velasquez will get the start. Velasquez only pitched one inning in the Cal Poly series, issuing two walks, one hit and giving up an earned run. In Velasquez’s only other start this season, he lasted four innings, gave up nine hits and five runs, all earned. This begs the questions of why are Hook and pitching coach Steve Rousey not using other guys? Joe Magrisi appeared to be the most obvious guy to start tonight vs. USC. He did not pitch vs. Cal Poly and is well rested. His last outing was vs. UC Santa Barbara going 3 1/3 innings, giving up one hit and striking out two. Against Pepperdine, Magrisi went one inning and struck out one. That’s 4 1/3 innings of one hit baseball in two weeks. Keep in mind that Magrisi put up these numbers, albeit a small sample size, against teams in the top 25 of the RPI. Sure the freshman had a bad inning vs. USD in his only start but why not use tonight as an audition to see if he can take over a weekend Saturday or Sunday starting spot? Is Magrisi being saved to make a start vs. San Diego State? Hook tends to get players starts against teams from their hometown region. That would make sense since Joe Magrisi is from the San Diego area and got the start while playing at USD. Where has Evan Larsen been? Evan has pitched a grand total of six innings this year. What about Jimmy Endersby? Jimmy has only thrown three innings this season. Brady Barcellos? 2 1/3 innings for the JC transfer. Matthew Sanchez has shown he is a reliable arm. Sanchez has a 0.00 ERA on the season in 5 2/3 innings of work. Why not give him a try at starter? The Titans have four non-conference games coming up to figure out who will be the weekend starters moving forward. Knorr and Luckham have been given ample opportunity to take the reins and demonstrate why they should keep getting the ball to start on the weekend. The stats tell a different story. It’s high time to find out who will be the horses to ride down the conference stretch. Tanner Bibee is clearly the guy for Friday but why not use these upcoming games to find the guys that will help win the conference? The Titans RPI will not raise all that much this week even if they sweep all four games. 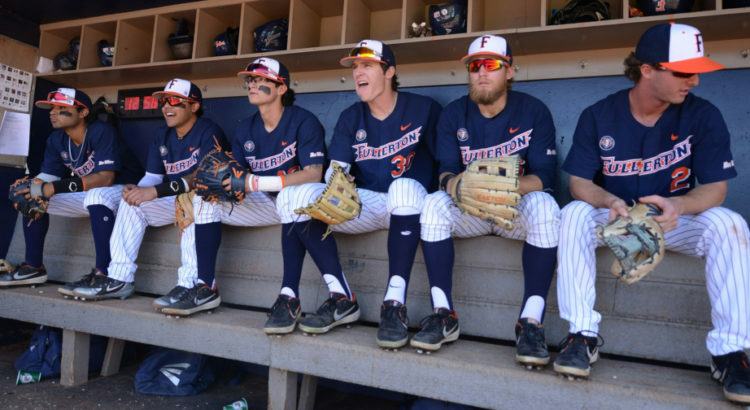 The Trojans and Aztecs RPI is between 50-100 just like Fullerton’s. We all know the pathway to the postseason is by winning the conference and not getting in via RPI and an at-large bid. Let’s try out some other arms. What do they have to lose other than more weekend games? Non-conference week starts tonight at USC as the Titans take on the Trojans for the second time this season. 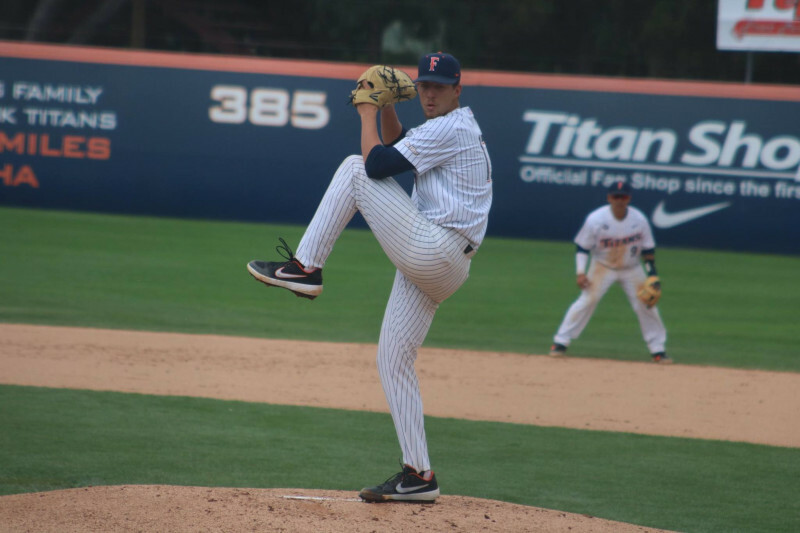 The Titans won the first meeting 10-4 at Goodwin Field. 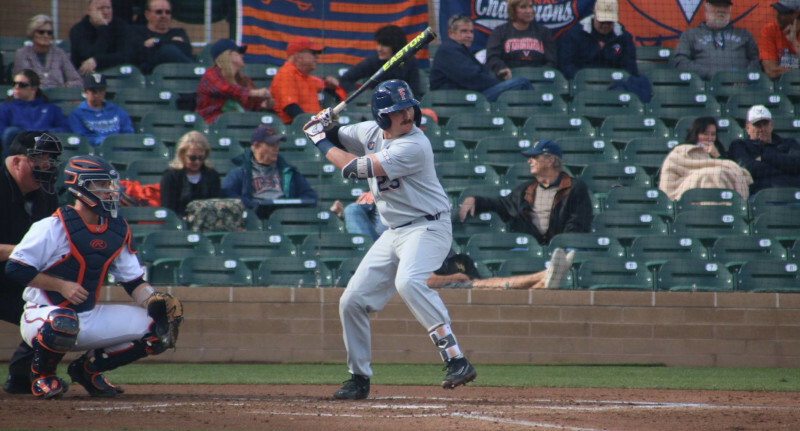 Over the weekend, the Titans face San Diego State in a non-conference weekend series at Goodwin Field. 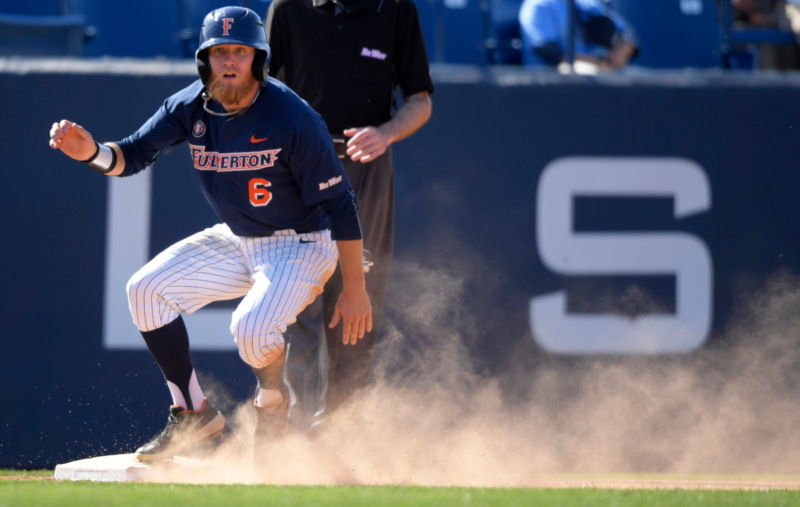 Because the Big West has an odd number of baseball teams in the conference, one team is on a bye week each week that can be filled with non-conference opponents. Despite playing in the Tony Gwynn Legacy Tournment in San Diego in the second weekend of the 2019 season, this will be the first meeting of the Aztecs and Titans in 2019. San Diego State is 18-14 on the year and 7-6 in the Mountain West Conference. The Aztecs are currently second in the MWC and trail San Jose State by three games.